How to experience the real Dubai isn’t all that hard – you just need to leave the side of your five star hotel swimming pool and stroll through Old Dubai to soak up some history and see where the city’s residents live. I had one of those conversations the other night about Dubai that I’ve found myself having every now and again since we moved to the United Arab Emirates in 1998 – the year the sail-shaped ‘seven-star’ Burj Al Arab hotel opened and Dubai’s tourism industry exploded. It’s a conversation I now find so tedious that the other evening I wished I had a link to give the person to read. This will be that link. The conversation always starts something like this: “Dubai has no history or culture. It’s artificial and soulless. There’s nothing to do except lie in the sun and go to shopping malls.” I respond with something to the effect that, “while there’s nothing wrong with lying on a beach or shopping, there’s so much more to Dubai. It’s a shame you didn’t experience it.” If you know me, you can imagine the rest. For many, Dubai’s allure remains elusive. As futuristic as it looks, it has a history dating to the Bronze Age as archaeological remnants found in Jumeirah, home to the Burj Al Arab, attest. There are countless historical references to Dubai – from that of Arab-Andalusian geographer Abu Abdullah al Bakri in his Book of Geography dating to 1095 to the journal of Venetian pearl merchant Gaspero Balbi who visited Dubai in 1580. Not everything is artificial, if that means manmade, shiny, and new. Dramatic desert landscapes are on Dubai’s doorstep, a short drive from the city, and beautiful sandy beaches skirt its suburbs. You don’t have to stray more than a block or two from a main road to get a taste of everyday life, in its many guises, in the fascinating backstreets and gritty neighbourhoods that are begging to be explored. “If it’s the people you think are artificial, maybe you’re hanging out with the wrong crowd – or believing everything you read,” I have been known to say. My friends in Dubai span all sorts of people: academics to artists, fashion designers to chefs, Emiratis and expats, old, young, rich, poor, single, married. They’re down-to-earth people who enjoy early morning swims, eating out – from street food to fine-diners – taking in art, seeing movies, going for weekend drives, and travelling whenever possible. They don’t drink champagne like water, continually puff cigars or spend their time at posh private clubs, and only one owns a Porsche – my best friend Rehab, a young Emirati woman who was one of my first media students and a very talented documentary filmmaker. Rehab chose a stable career over filmmaking and rose to become the head of branding at a telecommunications company. I don’t blame her for ordering a bespoke Porsche. Rehab aside, the people we know in Dubai are some of the least pretentious yet most cosmopolitan people we’ve met anywhere. A Middle Eastern city-state Dubai may be, yet for many it bewilderingly has no ancient pyramids, Crusaders castles or medieval medinas. What most people don’t appreciate is that Dubai’s residents have always been nomadic, shifting between the coast and desert oases with the change in season, transporting their possessions with them by camel. Their coastal dwellings, simple barasti (palm-frond) huts, didn’t stand the test of time nor weather centuries of sandstorms, in the same way the wooden houses of the Angkor era here in Siem Reap didn’t survive. Their summer ‘homes’, goat-hair tents, were packed on the backs of their camels. The majestic forts and watchtowers used for defence and as headquarters for the ruling tribes came in the sixteenth century, with the Portuguese. Dubai does have a rich culture but traditional Emirati culture is intangible, based on oral storytelling, poetry, song, and dance. With everyday life rooted in Bedouin social customs, gracious Arab traditions of hospitality, and a tolerant Islam, it’s a culture that runs deep. Modern Emirati culture is as complex as it is anywhere, grappling with the internal tensions you’d expect of a rapidly developing society, city and nation – tradition versus modernity, East versus West, nationalism versus individualism, religion versus state, a simple way of life versus a materialistic one, heritage/craft versus fashion/art, the wisdom of the old versus the enthusiasm of the youth, the hindsight of the past versus the optimism of the future. 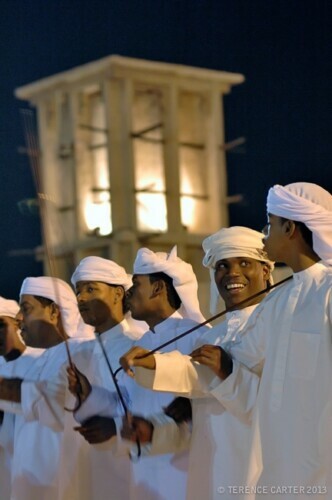 For Emiratis, I imagine, the only thing that remains stable is the family and the tribe. And as you’d also expect in a place where over 80% of the population is foreign and where more than 200 nationalities have made their home, temporary or otherwise, Dubai’s culture is also multicultural. Some of my expat friends have lived in the UAE for 25 years. They came from countries as diverse as Syria and Lebanon, Ireland and New Zealand. These expats from many nations and all walks of life help make Dubai a compelling place to be – from the artists, designers and filmmakers from Iran, Egypt and Lebanon who helped invigorate the arts scene and creative life of the city to the workers from the Sub-Continent and South East Asia who enliven the backstreets of gritty neighbourhoods like Satwa and Karama. So after you’ve spent some time working on your tan, how do you experience that long history and rich culture and get a taste of the real Dubai? My Dubai. 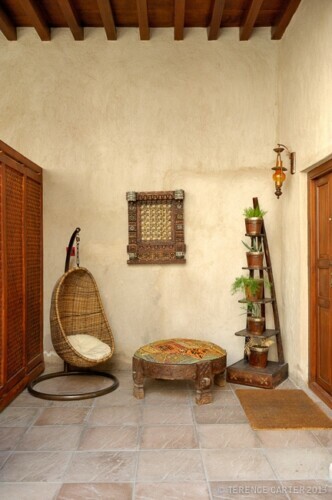 Well, I like to start visitors off in Old Dubai, before I take them to any swanky restaurants or glitzy shopping malls. When Terence and I lived in Dubai we’d take regular afternoon strolls during the cooler months from our apartment in the concrete jungle of Bur Dubai’s Al Mankhool through nearby Meena Bazaar’s ‘Little India’ and the old Persian quarter of Bastakiya, along the waterfront of Dubai Creek to the mouth of the estuary at Shindagha, the historic heart of Dubai. Sometimes we’d zip across the Creek to continue our amble through Deira’s narrow backstreets and (now-renovated) ramshackle souqs in Al Ras, before finishing with a wander along the dhow wharves. It’s a walk I strongly recommend you take. Here’s how to do it. Start your mosey along Dubai Creek at the beginning of Al Seef Road Park, where you’ll find local residents on weekends lazing on the grass and picnicking with friends. From here you can take in the stunning skyline across the Creek in Deira where you’ll see the shimmering water and wooden dhow and abra boats reflected in the mirrored surfaces of the shiny office towers and hotels. Amble to the end of the promenade where the diminutive Bastakiya quarter begins then wander the breezy lanes of this labyrinthine little neighbourhood, lined with splendidly restored 18th and 19th century Persian merchants’ residences. Made from coral, sand and gypsum, they boast intricate decoration, breezy courtyards and the unique cooling system that is the Arabian wind-tower. Many are now home to art galleries, small museums and intimate boutique hotels. 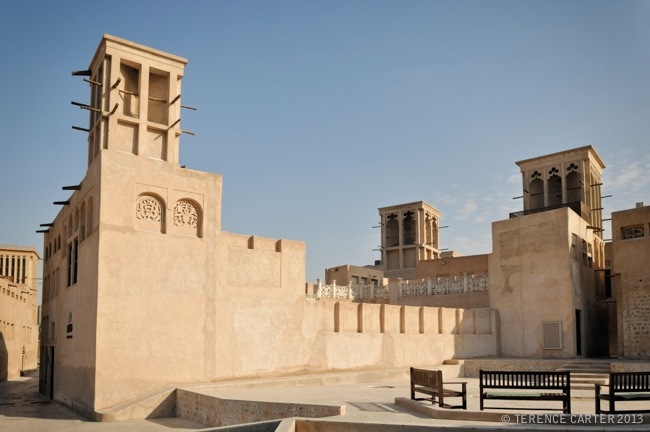 Drop into the Sheikh Mohamed Centre for Cultural Understanding and ask to climb upstairs to take in the views over the Bastakiya of wind-towers and minarets. Book their brilliant Cultural Breakfast, where you’ll get a rare chance to try Emirati food (typically only served in homes) and find out everything you’ve ever wanted to know about Islam and Arab culture, while learning about Emirati society and Bedouin traditions. Sign up for one of their enlightening tours of Jumeirah Mosque and a more detailed presentation and Q&A session on Islam, as well as a demonstration of ablutions and prayers. They also offer walking tours and Arabic classes. A few minutes’ stroll away is the splendid Al Fahidi Fort, Dubai’s oldest building, constructed in 1787, which is home to Dubai Museum. Check out the displays of musical instruments and antique weapons within the fort before heading into the air-conditioned underground museum to watch a presentation on how a sleepy fishing village was transformed into the audacious metropolis of today. Giggle at kitschy dioramas of the old waterfront and souqs and engage with atmospheric multimedia displays on pearl diving, fishing, desert life, and more. There’s a small but superb archaeological collection in the last room worth some time. I love the fine alabaster pieces here dating to 3,000 BC. 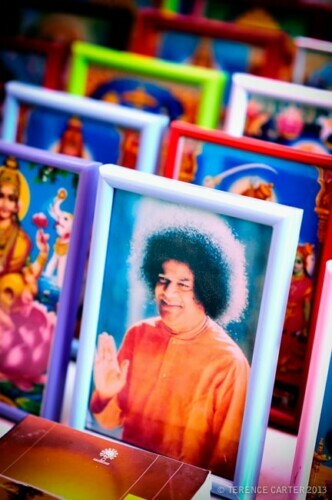 Once outside again, head toward to the waterfront, cross the road, and take a narrow alleyway beside the Grand Mosque, which leads to the Shri Nathje Jayate Temple, a Hindu house of worship with images of Ganesh and Shiva inside, identifiable by the shoes at the bottom of the stairs. The skinny alleyway, once-upon-a-time nicknamed ‘Hindi Lane’, has long been one of my favourite places to spend time in Dubai, lined with miniscule shops selling Hindu paraphernalia and temple offerings: baskets of fruit, gold-embossed images, flower garlands, fragrant incense, and packets of bindis. At the end of the lane, take a right to a small square on the waterfront for wonderful views of the watery action on Dubai Creek, then return and hang a right to wander under the wooden arcades of bustling Bur Dubai Souq with its textile wholesalers, sari shops, stores selling Arabian bric-a-brac, and stalls crammed with kooky souvenirs like mosque alarm clocks and Emiratis painted on Russian Dolls. If you’re peckish head for the stalls of Indian snacks piled high with deliciously greasy fried onion bhajis and spicy samosas. Also visit my man by the ticket office who sells beautiful, curly-toed, embroidered Aladdin slippers and sequined and beaded moccasins from India, Pakistan and Afghanistan. If you can’t find exactly what you want, he can probably make them for you. 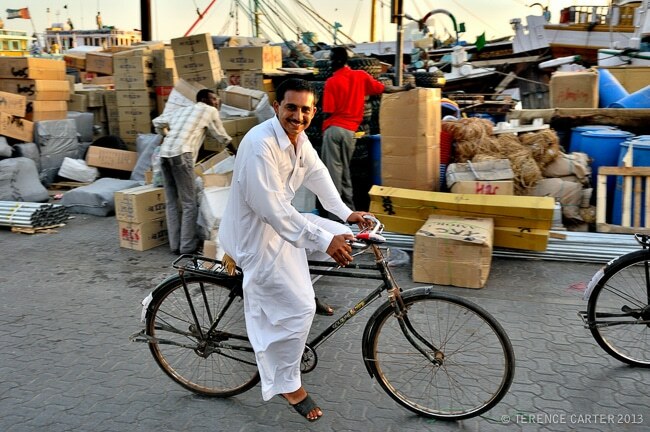 On the waterfront, hop onto one of the wooden abras for the five-minute ride with local commuters across Dubai Creek to Deira, where you can stroll through the renovated old Deira Spice Souq, selling as many tacky souvenirs as spices these days. In the old days, the souq was exclusively home to small spice shops crammed with jute sacks filled to the brim with sumak, za’ater, cumin, cardamom, turmeric, star anise, caraway, baharat (mixed spice), thyme, dried flowers, rock salt, frankincense, and myrrh. 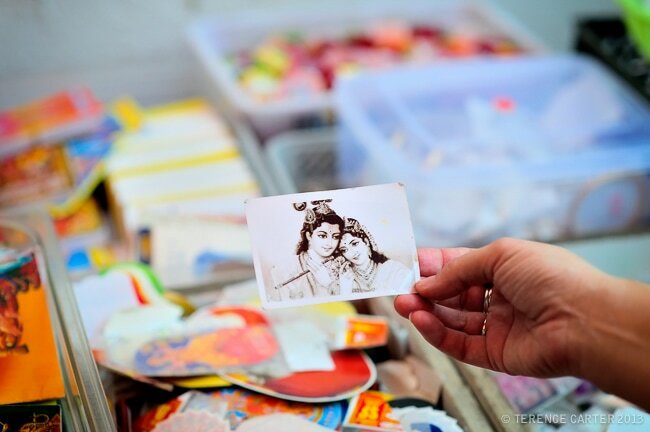 We would regularly take guests to the Spice Souq to buy an incense burner, frankincense and charcoal, and henna and stencils to do home-made temporary henna tattoos; quintessential local souvenirs. 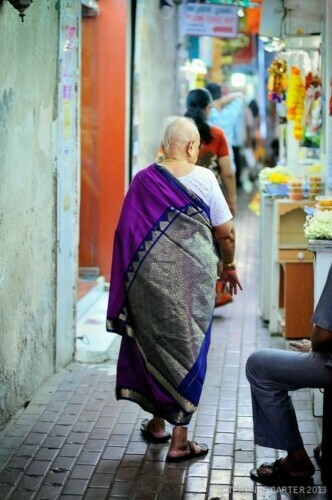 After inhaling what’s left of these fragrant shops, dip into the tangle of lanes and alleyways behind, where old Emirati and Iranian ladies go to buy their pots and pans and cheap kitchenware. Allow yourself to get lost because the area is so small you’ll eventually find your way out again and should eventually arrive at the Gold Souq. Stroll under the wooden arcades of the Gold Souq to gawk at the jaw-dropping window displays of ornate gold jewellery, much of it intended for dowries and wedding days, and take in the atmosphere of the place and the people – East African traders in vibrant-coloured kangas, their purchases piled high on their heads, little old Bedouin ladies with the black beak-like masks known as burqas in the Gulf, and sunburnt tourists armed with long lists of shimmering things to buy their friends back home. The gold here is no longer as cheap as it was when we first moved to Dubai, but the experience makes some bartering worthwhile. At the end of the covered arcade, cross the street and walk a block and you’ll spot the gypsum, sand and coral walls of two fine buildings dating to the 1890s, now museums. Heritage House, a grand pearl merchant’s residence, has displays from everyday domestic life in the pre-oil years. 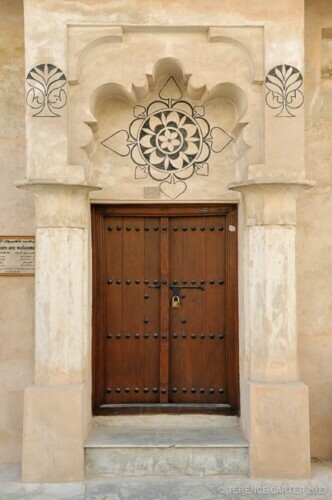 Adjoining it, Al Ahmadiya School was Dubai’s first school, established in 1912. Inside you’ll find some fascinating old black and white photos charting the history of early education in Dubai – more interesting than it sounds. Both buildings boast ornate decorative carvings and breezy courtyards and verandahs, as well as more kitschy dioramas. Back on the street, continue in the direction you were headed and hang a left for the waterfront and dhow wharves. Spend some time strolling these fascinating docks, liveliest around sunset and after dark when the weather has cooled down a tad. Note the crazy stuff being loaded onto the old wooden dhow boats bound for Iraq, Iran, Afghanistan, and Oman – you should spot everything from kitchen sinks and flat screen televisions to washing machines and small cars. Hop on a wooden abra again for the return trip to the Bur Dubai side of the Creek then continue walking along the waterfront in the direction of the mouth of Dubai Creek and Dubai’s oldest area, Shindagha, the site of Dubai’s early fishing and pearling village. On the way you’ll pass a handful of restored old buildings, including the handsome former residence of the ruling family, Sheikh Saeed Al Maktoum House, where you’ll find another engrossing exhibition of black and white archival photos of pre-oil Dubai. Dubai Heritage and Diving Village, on the site of the first settlement of Dubai, is often dismissed as little more than a tourist attraction by those who only call in during the scorching heat of the day, when tour groups are here to haggle for souvenirs at the small shops selling brass tea sets and coffee pots, bellydancing costumes and fluffy camels. Visit in the evenings instead, especially during Ramadan and the winter months, and you’ll have a completely different impression. Emirati families and Gulf Arab tourists flock here for rifle-throwing competitions, hair dances, where Emirati girls in colourful long kandooras move their upper bodies in wide circles so their long shiny black locks swirl around, and traditional dances like the liwa and ayyalah, in which young Emirati males wearing crisp white dishdashas and carrying sticks perform with their tribes. 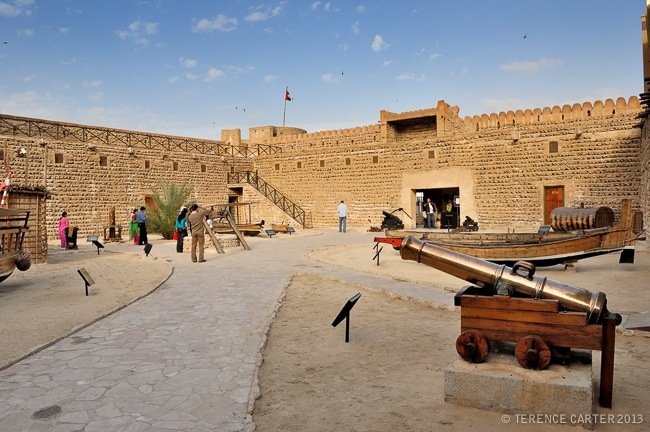 While exploring the old centre around Dubai Creek is the best way to get a sense of the city-emirate’s history and culture, I also like to give visitors a taste of ‘new Dubai’. A trip to a mall in Dubai shouldn’t be dismissed just because you might not be into shopping. The city’s sumptuous shopping centres are a must if you’re a fan of people-watching. Monumental and opulent, the Mall of the Emirates is a place you’re not likely to forget. Attached to the luxurious Kempinski Hotel, it’s a colossal modern town square where locals and expats meet to socialize, gossip, flirt, watch films, see art, going skiing, sip coffee, eat, and drink, in the comfort of the air-conditioning, as much as go shopping. The best spots for people watching are Moroccan café-restaurant Almaz by Momo (a favourite with Emiratis and young Arabs), Fauchon (beloved by Emirati women), French café Le Pain Quotidien (a local institution for Europeans and Lebanese), Karam (the preferred lunch/dinner spot for Arab expats), and bars Aprés (overlooking the ski slopes) and 1897 (a dimly lit purple-hued bar in the Kempinski Hotel; my favourite), both of which get busy with the after-work crowd. The mall’s snow park Ski Dubai, much derided by Dubai critics, is actually more popular with locals and expats, eager to learn to ski, play in the snow with their families, or practice for the European winter than tourists, while a movie at VOX Cinemas or a show at Dubai Community Theatre and Arts Centre (DUCTAC) will be just as memorable for the experience of going as what you saw on the screen, stage or walls. The monumental Dubai Mall offers more of the same (minus the ski park and theatre), with the addition of one of the world’s tallest buildings, the extraordinarily beautiful Burj Khalifa, as its neighbour, along with a naff dancing fountain show. 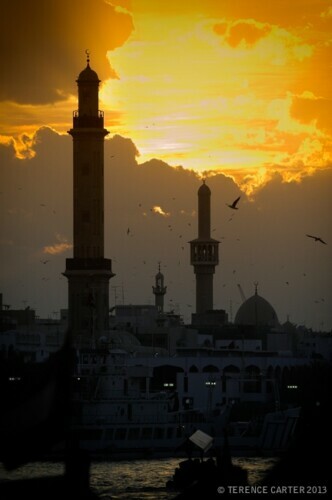 Dubai does have a history and culture, and it does have a soul. You just need to leave the hotel swimming pool and hit the streets to experience it. And when you do head to a mall, do more than shop. Sit down and do some people watching and engage with locals, just as you would in any other city. If you like it hot, you’ll love Dubai. Winter in Dubai is lovely, autumn and spring are warm and sultry, and summers are scorching – and best avoided. Locals and expats evacuate for cooler climates during this time although this is the cheapest and quietest period to visit and has therefore become increasingly popular with budget travellers. The best time to visit is autumn (October-November) when temperatures hover around 30-35C/86-95F and spring (February-April) when they range from 25-33C/77-89F. 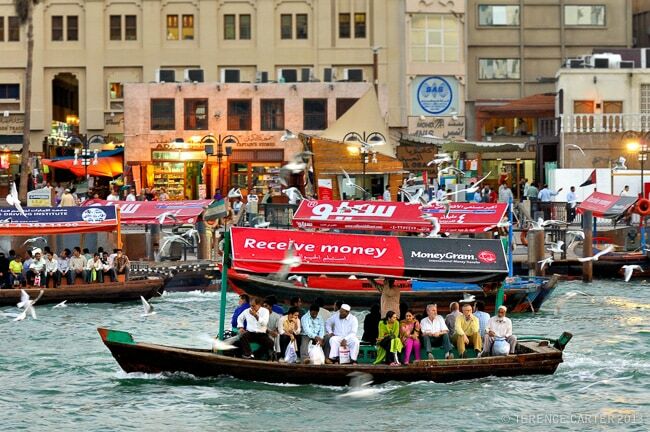 Dubai has a sleek metro service that is a delight to use but I have always loved catching the abras (public water taxis) that criss-cross Dubai Creek, between Bur Dubai and Deira. There are several routes, however, my favourite is from Al Seef Abra Station by Al Seef Road Park to Baniyas Abra Station near Dubai Municipality. 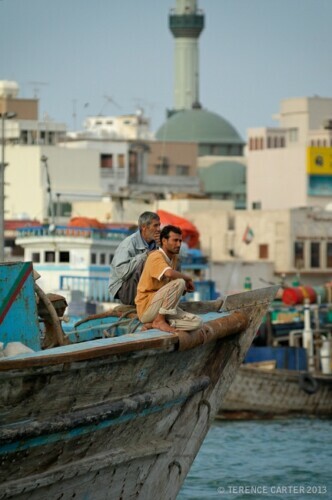 From there, you can wander along the dhow wharves then cross the road at the Spice Souq to explore Deira’s souqs. 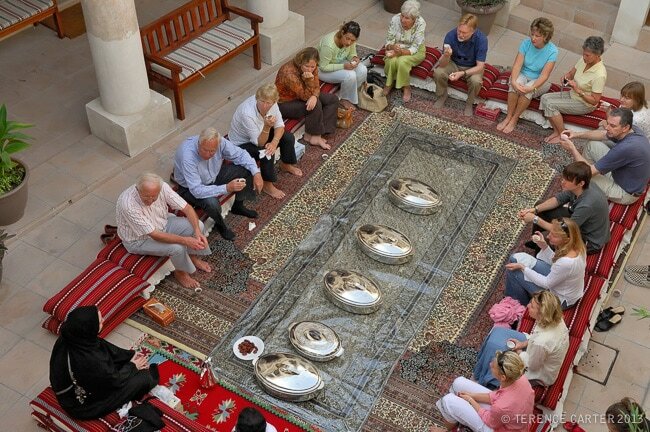 If you’re on a Dubai stopover (see our Dubai layover like a local guide) and on a tight schedule and prefer to do a tour, we recommend booking an experience with our tour partner Viator, such as this very local Tales of the Past tour and Emirati lunch, Walking Tour of Traditional Dubai, a Walking Tour Through Bastakiya and the Souks, this Middle East food tour, or this Secrets of Arabia tour that takes in most of the sights above. If you’re a Dubai resident, do you have any tips for how to experience the real Dubai – any suggestions for first-time visitors who want an insight into local everyday life? And I’ve really only scraped the surface above. There’s so much more – a whole beach culture away from the five-star hotels which is fascinating. Dubai’s parks, where we’d go for walks – fantastic on weekends during the cooler months when the whole city is out, playing cricket, kicking balls around, picnicking, barbecuing, and playing games with families and friends. The contemporary art galleries and creative scenes are fantastic. Dubai International Film Festival is brilliant. There are always exhibition openings at the galleries and creative events going on, easy to find out about on Twitter as there’s an active social media scene. The food is fabulous too. There are wonderful restaurants in the five star hotels, which is what most travel-food writers focus on, but there are also countless backstreet eateries. We loved buying piping hot bread straight from a hole-in-the-ground oven from a hole-in-the-wall bakery on a sandy backstreet lane in Satwa ran by Afghanis – for 30 cents! We’d regularly get take-out from simple neighbourhood eateries – everything from Lebanese to Russians. There was a brilliant little vegetarian Indian worker’s cafeteria we used to go to regularly ran by a lovely Kerallan guy that was extraordinary – we’d have a huge feast for less than $20. Then there’s the street food – the simplest but most sublime shawarmas, tasty pastries like samboussek and fatayer, piping hot falafel (crunchy on the outside, soft within), and all the Lebanese bakeries. One of our weekend rituals was buying a big tray of different sorts of Arabic sweets from the bakery in the building next to ours: baklava, knafeh, katayef, osmallieh, nomoorah… ah, so many, and all so scrumptious. We wrote about all this in all the guidebooks we wrote – but despite that, I continually get people like that bloke the other night who are oblivious to the *real* Dubai – the Dubai outside luxury hotels and shopping malls. Shame. Make sure you let me know if you’re going to do a trip. What a great read. Finally a realistic and balanced view. Thank you! Great to read a true account about what really is there in Dubai. Truly, a rich history is behind Dubai’s astonishing success. A vibrant culture has also propelled this nation way ahead. There is so much to explore in Dubai. So pleased you agree, Noel. It’s just a shame most people don’t get to experience it because all they think is there are shopping malls. And I agree that the tough history is what has resulted in the successful present and bright future. The Sheikhs felt they had nothing to lose and everything to gain because life was so harsh living in the desert. That is what motivated their audacious ‘anything goes’ attitude – and the money to back up bold ideas. Thanks, Maitha. I guess that’s what comes from living in a city for so long. Dubai gets a bad wrap most of the time but unfortunately it’s because the writers only stay a few days and they do little more than the glam shopping malls. As I say above – and as you’d probably agree – the malls are extraordinary in Dubai and definitely worth a look. But it’s a shame if that’s all people see. With activities like Arwa’s street food walks becoming so popular, I think writers and tourists will increasingly take time to get off the beaten track more, and do more than shop. Fingers crossed. I wish I had read this two months ago, before our trip to Dubai, hosted by Dubai tourism. We did see some glimpses of “real” life, like when we ventured to find new sunglasses and found ourselves walking through a little neighborhood near the old town. This is how we are used to seeing a destination, and I wish we had more time to explore Dubai. Hi Amber, thanks! That’s partly why we don’t do famils. Most famils focus on the typical tourism activities/attractions. They don’t see the value of visitors exploring neighbourhoods and connecting with locals. It’s also about time, as you point out at the end. Whether you’re on a famil or you’re exploring a place independently, a few days is never enough. We tend to stay a minimum of a week when we’re on assignments for magazines and newspapers, and have sometimes stayed a month, and we return to places again and again. Which is why it frustrates me when people only write about the tourist sights in Dubai and then claim that the city feels artificial and has no soul. Well, of course it will if they only visit luxury hotels, shopping malls and tourist sights 🙂 Thanks for dropping by! What a great piece, Lara. I’m definitely saving it to refer people to. I lived in Dubai for five years and I love it so it also bothers me when people are so dismissive of it – especially, as is often the case, when they’ve never been and don’t know anything about the city beyond the biggest/tallest etc. Thanks, Candice. Much appreciated. Sometimes I think only people who either lived in the place or visit with a local can understand the city. Thanks for dropping by! Thanks for this! I have a 12 hour stopover in Dubai in a couple of weeks, and you have convinced me not to hide in a cinema, out of a phobia of shopping malls. Take care, it’s going to be hot! Lara, We arranged a layover in Dubai for our family of 4 (older kids, troopers), arriving at 735pm and departing the next day at 4pm. I have done a ridiculous amount of research and cannot make up my mind where to stay or what to see, but LOVE your article. Thinking of staying around the creek area and seeing Old Dubai (but it is late late July and not sure about dhow ride and walking around). Also thought about beach area for a swim in the Gulf, but not sure that will even be pleasant. Thought about downtown Dubai with rooftop pool to really be in the city. Is there anyway you would advise??? Love to eat some middle eastern food (I know that is a large generalization but we are open – might need to be in the hotel since we will arrive at hotel kind of late). Love a good pool, maybe with a view, to cool off and unwind from our long flight. Love an authentic experience – at the least was considering the museum under the Fort. Will we be missing Dubai but not actually driving into the city and “seeing it?” Thanks for any thoughts. And thanks for the great article! Beautiful insight into a very special place. Hi Alixe, Thanks! That’s an incredibly short layover. You’ll only have dinner and then the morning and lunch, as you’ll need to be at the airport at 2pm. And it’s going to be scorching. Yes, I definitely recommend staying in the older Deira side, in a hotel with a pool. If you can handle the heat, get up as early as you can to do a walk along the Creek to look at the dhows, take an abra across to Bur Dubai and wander through the Textile Souq and Bastikya. 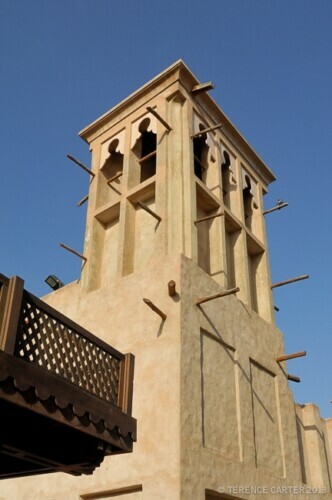 If you’re going well for time, see Dubai Museum – it’s air-conditioned so it’s a great escape from the heat. You can return back across the Creek on an abra, and if you’re up for more, head into Spice Souq then the backstreets to Heritage House and the Alamadiya School, and the Gold Souq. Grab a taxi and head back to the hotel. 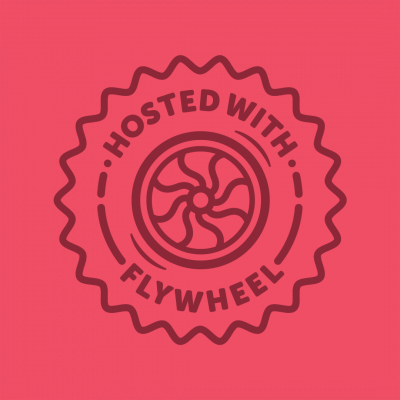 You can then have a dip in the pool, check out, and some lunch, and you’ll make your flight. Skip the beach this trip – the water will be warm and it will just be way too hot out. For hotels, I’d suggest something like the Sheraton Dubai Creek, from where you can walk everywhere, or the Hilton Dubai Creek or the Hyatt Regency. They’re all super close to what I’ve described, but I still recommend taking a taxi from the Hilton or the Hyatt to the dhow wharves to save time and conserve energy. As for middle eastern food, the Hyatt has one of Dubai’s finest Persian restaurants, and Persian is ‘local’ – the Persians were trading in Dubai for centuries, many locals have Persian heritage, and the Bastakiya quarter is essentially comprised of Persian merchant houses. If you stay in the Hyatt, you can even walk to the Gold Souq. Or, start at the Shindagha area and Heritage and Diving Village and walk along the Creek, through the textile souq, do the Dubai Museum, then return and follow my suggestions above. Do come back to me if you need more tips! Enjoy!